Coro is a model of training and education that was founded in San Francisco in 1942 to prepare citizen leaders. “Coro” is a word, not an acronym, chosen by the organization’s founders to represent both discovery and exploration. 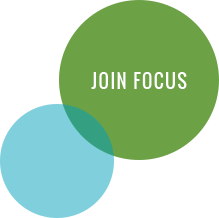 FOCUS is proud to host two Coro programs – Coro Women In Leadership and Coro Fellowship in Public Affairs – as part of its continuum of civic leadership programs. What will I gain from the Coro Women In Leadership experience? During the program, you’ll have the opportunity to strengthen your personal, professional and civic leadership competencies, learn about the St. Louis community, and connect with other women from diverse backgrounds – both peers and potential mentors. You’ll also join a network of more than 1,000 Coro Women In Leadership alumnae. Alumnae leave the program with a deeper understanding of themselves and their goals, along with the knowledge, skills, resources and network to bring those goals to life. As part of the process, you will need to submit a completed application and two recommendations. You’ll also be asked to participate in a half-day Selection Day, which includes individual and group exercises and interviews with Coro alumnae. All of these elements will be considered during the selection process. Classes are also selected to represent the diversity of the St. Louis region. Coro Women In Leadership is a competitive program, with class size limited to 15-18 participants. If not selected, applicants are encouraged to reapply for the next session. If employed, we encourage you to check with your employer to see if they will cover the $2,000 tuition, either in part or full, as an investment in your professional development. Partial scholarship assistance is also available for those with demonstrated financial need; the average award is 35-50% of the tuition cost. Information on applying will be provided to those selected for the class. For Spring 2019, through generous donations from Emerson and Epsilon, we will also award eight full-tuition scholarships: four of these are open to all applicants, and four are designated for participants who reside in North St. Louis County. Scholarships are dependent on acceptance into the program. For the purposes of these scholarships, North County is defined as these municipalities: Bellefontaine Neighbors, Bellerive, Bel-Nor, Bel-Ridge, Berkeley, Beverly Hills, Black Jack, Breckenridge Hills, Bridgeton, Calverton Park, Champ, Charlack, Cool Valley, Country Club Hills, Dellwood, Edmundson, Ferguson, Flordell Hills, Florissant, Glen Echo Park, Greendale, Hanley Hills, Hazelwood, Hillsdale, Jennings, Kinloch, Maryland Heights, Moline Acres, Normandy, Northwoods, Norwood Court, Overland, Pagedale, Pasadena Hills, Pasadena Park, Pine Lawn, Riverview, St. Ann, St. John, Unincorporated North St. Louis County, Uplands Park, Velda City, Velda Village Hills, Vinita Park, Wellston, and Woodson Terrace. Coro Women In Leadership consists of five Saturday seminar days and four Thursday field days. All program days run 8:30 a.m. to 5 p.m. Participants are expected to attend all program days (barring emergencies). Each cohort of Coro Women In Leadership is unique but relies on the time-tested Coro principles of inquiry, experiential learning, self-discovery, group interaction and collaboration, civic engagement and learning in community. You’ll join a cohort of women to learn together to clarify your values and goals, lead with authenticity, and integrate your lives at work, at home and in the community, while drawing support from a network of people dedicated to creating positive change in the region. You will also explore what makes our community “tick” – politically, economically and socially – and how your leadership can make a difference. Can I nominate a colleague or employee for Coro Women In Leadership? Yes! If you know someone who could benefit from the Coro Women In Leadership experience, you’re welcome to submit a nomination. All prospective participants must still complete an application by the session deadline.